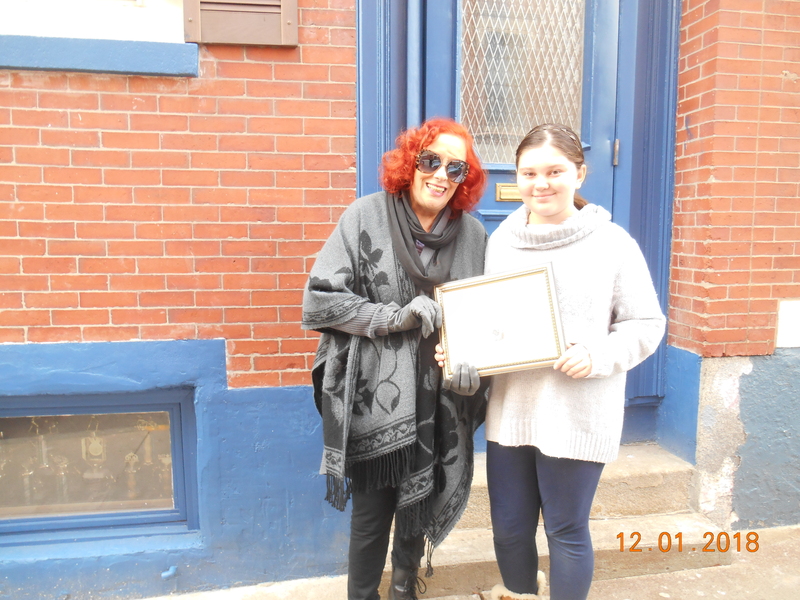 Trinity Martignetti was presented with the November Good Neighbor Recognition Award for her efforts in keeping the North End neighborhood clean. Trinity is pictured above receiving the award from Recognition Chair Janet Gilardi. Trinity works diligently at helping to keep her section of Prince Street as clean as possible! She thanked NEWRA for the award and hopes that her efforts encourage other neighbors to keep our streets tidy. The monthly Good Neighbor award is voted by NEWRA’s Executive Committee and presented to local businesses, organizations and property owners that contribute to making our neighborhood beautiful and consistently keep the areas around their property clean of trash. 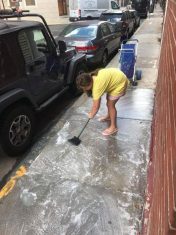 See previous winners of the NEWRA Clean Streets Good Neighbor Recognition Award. Congratulations Trinity. I hope your wish of inspiring ALL of your neighbors in the North End to follow your example comes true. This is what leadership looks like!!! Congratulations Trinity from your friends at the NEAA and NEAD! Just love to read stories like this. Congrats Trinity your family and Neighbors should be very proud of you.